The Lewis & Clark Expedition traveled the country by land and by river. They spent their evenings under the stars in primitive camps, mending and making all they needed to survive. They hunted and fished. They were immersed in nature every step of the way. Today, 200 years later, Salmon, Idaho, can offer you all the spectacle and adventure of the Lewis & Clark experience without the toil! We invite you to leave behind the highway and the crowds, and immerse yourself in nature. Many significant events occurred here, in the Salmon Valley, birthplace of Sacajawea, and Salmon is home to several outfitters who take pride in bringing the adventure to life for you. 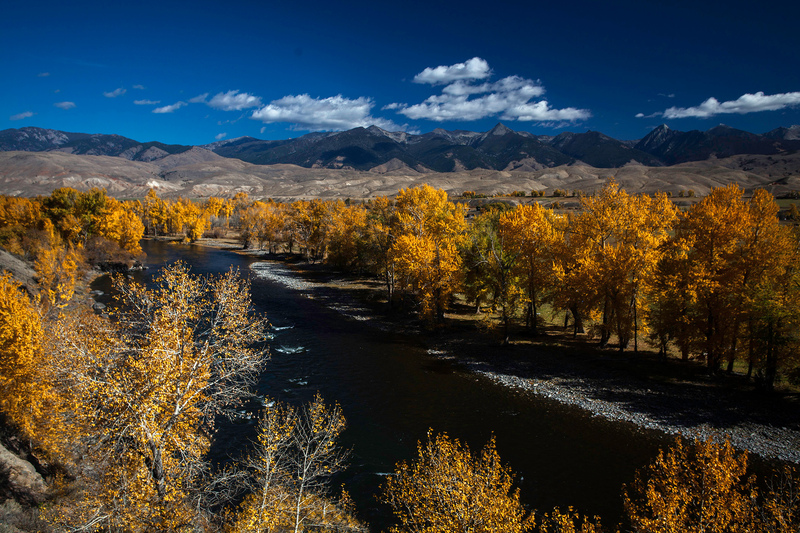 Begin with guided horseback ride at Lemhi Pass where Lewis first set eyes on the immense Rocky Mountain range to the west, or take a guided driving tour of the Lewis & Clark Back Country Byway and hike to the first camp west of the Continental Divide. Traverse sagebrush country where Lewis made first contact with the native inhabitants, the Lemhi Shoshone. The Sacajawea Interpretive, Cultural, & Educational Center was created to honor Sacajawea, who was born in the Salmon Valley. The Sacajawea Center provides visitors and locals alike a place to walk, visit, watch performances and learn about the area and the inhabitants. "The Sacajawea Center is an awesome place. It would be impossible for us to try to put into words our thoughts about all of the incredible features and many aspects of this place. On one level is a place with a lot of physical features. However, on another level it's a spiritual spot with its own special power. If you ever get a chance to volunteer at The Sacajawea Center, jump at it! This is one of the great gems of the Gem State. It's a national and international resource, too. People from around the world will always be fascinated by the epic Lewis & Clark Expedition and the role of their amazing associate--the legendary Sacajawea". Tower Rock Recreation Site – A BLM Campground, is located 11 miles north of Salmon on Highway 93. A detachment led by William Clark camped here on August 21 and 25, 1805 while completing the reconnaissance of the Salmon River. Interpretive panels highlight the geology of Tower Rock and Clark's Campsite. Tower Creek Pirimids (sic) – The Lewis and Clark expedition traveled up Tower Creek on August 31st 1805. Clark recorded, "...passed remarkable rock resembling pirimids on the left side." The day use site offers picnic tables and an historic homesteader's cabin. Information panels interpret the geology of the "pirimids". Salmon Valley Chamber of Commerce: 1-208-756-2100, or 1-800-727-2540. Public Lands Information Center: (208) 756-5100. Pay homage to national heroine, Sacajawea, as you cruise through the valley of her birth, towards the town of Salmon, where you’ll find the Sacajawea Interpretive, Education and Cultural Center (link) dedicated to her memory. 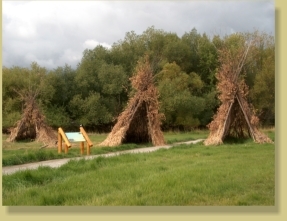 Stroll along the interpretive trail, or sign up for a primitive living workshop. Learn how to survive off the land and make your own primitive souvenir, or visit the gift shop for some ready-made ones. Follow Clark’s reconnaissance of the mighty Salmon River with a scenic float trip, or venture beyond for an exciting whitewater rafting trip! From Lemhi Pass to Lost Trail Pass, travelers of all ages will enjoy the interpretive recreational experiences offered in the Salmon area. Go ahead, immerse yourself in nature!